Kobe Bryant might have retired gracefully from basketball after last night’s NBA game, but his career will live on in digital form through the NBA 2K17 Legend Edition. Take a look at everything in our list of upcoming PC games. L.A. Lakers legend Kobe Bryant clocked over 57,000 career regular season and playoff minutes during his lengthy career, which ended with Bryant’s grand finale last night, where heput up 60 points on 50 attempts. 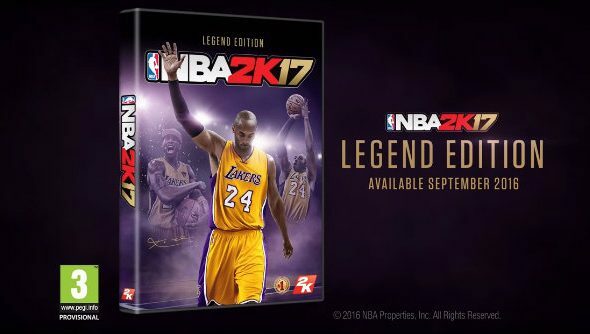 To honour this 20-year career, the 18-time NBA All-Star will appear on the cover of the NBA 2K17 Legend Edition, which will highlight Bryant’s career with special Kobe-themed memorabilia and digital content.